Putting an end to months of anticipation, Xiaomi finally unveiled its second Android One smartphone, the Mi A2 and Mi A2 Lite, at a global launch event in Spain last week. The Chinese giant is now launching the Mi A2 in India (not the lower-end Mi A2 Lite) on 8th August and it has now been revealed that it will be exclusive to Amazon. Yes, as opposed to its usual Flipkart exclusivity, Xiaomi now appears to have decided to go with Amazon India for the launch of Mi A2 in the country. You can head over to this link to check out the promotional page for the device on Amazon. As for why Xiaomi has gone with Amazon, there’s no reason stated. One factor could be the criticism from buyers about flash sales on Flipkart. Coming to the specs, the Mi A2 sports a 5.99-inch Full HD+ display with an 18:9 aspect ratio. This means it doesn’t have a notch and looks exactly the same as Mi 6X, which was recently launched in China. But that’s not all, it packs almost the same hardware as well. The Mi A2 is powered by the Qualcomm Snapdragon 660, coupled with Adreno 512 GPU to handle your graphical workloads. It comes in two variants, one with 4GB of RAM and another with 6GB of RAM, whereas you can choose between 32GB, 64GB, and 128GB of internal storage. It’s the optics and the software department where the Mi A2 differs from the Mi 6X, which we reviewed earlier this month. The Mi A2 comes with a dual rear-camera module with a primary 20-MP (f/1.75) sensor and a secondary 12-MP (f/1.75) sensor. There’s a 20-MP selfie camera on board as well, which comes with Xiaomi’s AI portrait feature. It also has the Face Unlock feature that now everyone demands. 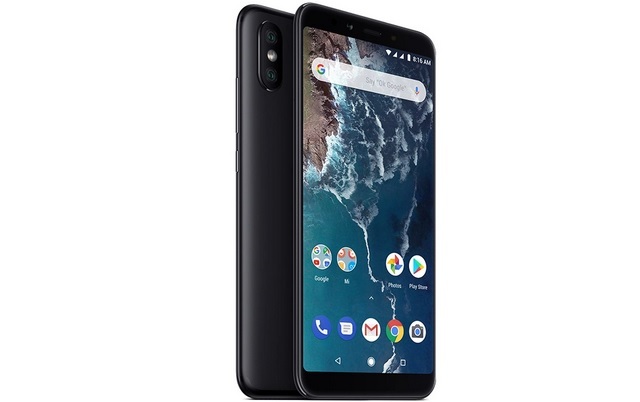 The Mi A2 comes with Android 8.1 Oreo out-of-the-box, thanks to it being part of Google’s Android One program. It also includes a 3,000mAh battery pack, which supports 18W Quick Charge 3.0 charging via the USB Type-C port. There’s currently no mention of the Indian pricing as of yet, but if you convert the official global pricing announced at the Spain event then the Mi A2 is expected to start at Rs 19,999 (249 euros). So, how eager are you for the launch in India? Let us know in the comments below.